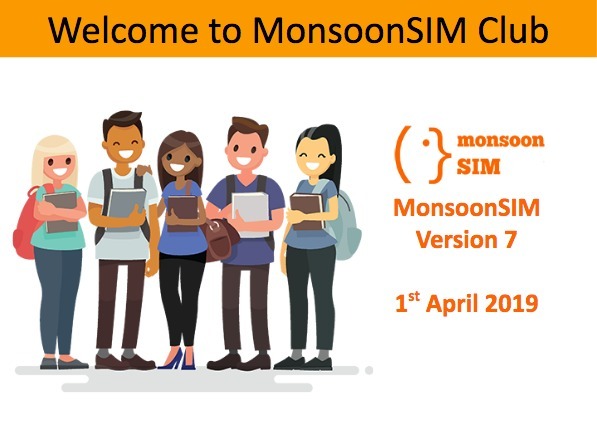 To provide experiential ERP learning away from curriculum hours, MonsoonSIM has created a special program called 'MonsoonSIM Club' in its latest version, MonsoonSIM V7. Under this program, students are able to form their "own clubs". The formation of clubs can only be done using CT's ID. CTs need to create clubs and set CJ Codes (each club has a different CJ Code) for students to join. However, creating a club would not make the CT a member of the club. One Club allows 5 members max. CTs should check 'CT Resources' with the subject 'NEW PROGRAM MONSOONSIM CLUB Tutorial' for the introduction and purpose of this program. 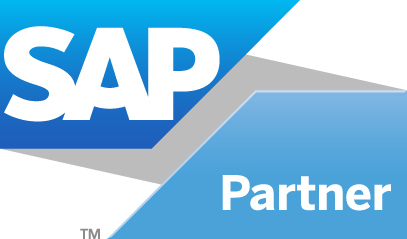 Students should be encouraged to participate in this club by 'Creating & Joining Team'. 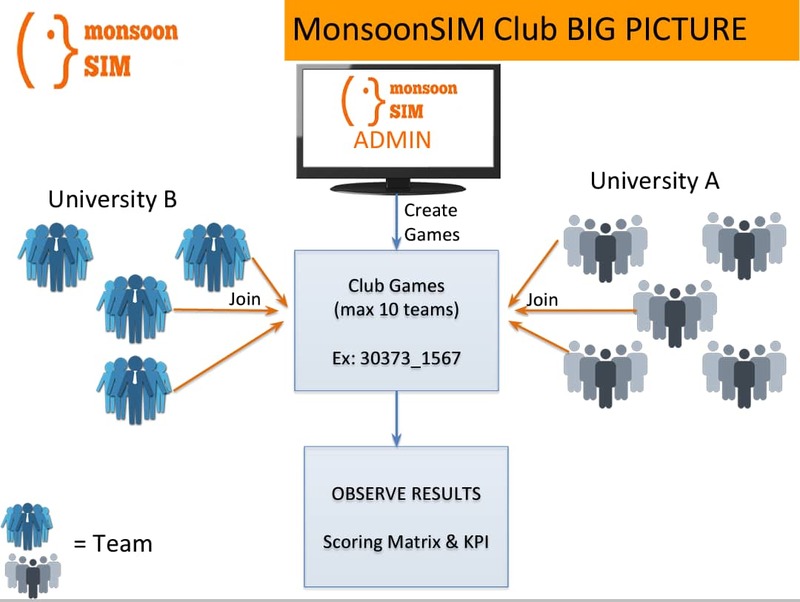 MonsoonSIM Club is a "Must Join" program for students who are serious about Experiential Enterprise Business Process learning. One game is being run at 7 pm (Jakarta Time) every day. Here, students can meet and play (without any invitation or call needed) to improve their skills before MERMC 2019. 4. Students are more visible globally, more accountable, as a club. MonsoonSIM's R&D team will keep improving this program and hopefully, they can add more new & fun features for the learners soon.